Finished the artwork for the first Epic Fail card for the Wagon Webcomic Battle. 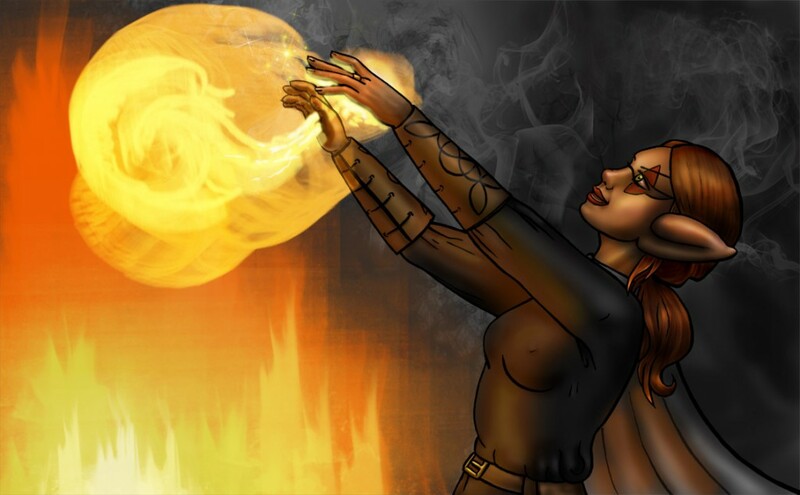 It’s Amuletts doing what she does best – playing with fire! Man that fire was fun to do!